If the summer has slipped by and there’s been no summer reading, don’t worry! These helpful tips make it easy for you and your kids to begin a reading program and help get them ready for school. Your kids may not be begging to start a summer reading program, and it could be that they think it won’t be fun. The reality is that there’s a wide range of humorous books available for kids of all ages. Authors who specialize in funny poetry for kids include Kenn Nesbitt, Jack Prelutsky, Jon Scieszka, Eve Merriam, Jeff Moss, and – of course – Shel Silverstein. Grab books from any of these authors to read with your children, and get ready to giggle! There are many books that I read as a child that are now considered “classics.” Instead of feeling slightly depressed and very nostalgic about that fact, I share these old and new classics with my own kids. Some authors now considered to have written these classics include Lois Lowry, Judy Blume, Beverly Cleary, Roald Dahl, and Madeleine L’Engle. Invest time in tracking down a few of your favorites from your own childhood, then gather your kids around to read them with you – they’ll love the time with you. It could be that your children have begun exploring their own interests in depth, which can be a powerful motivator for them to read nonfiction books. Consider reading books on a certain theme based on your children’s interests, like space travel, rocks and gems, exploration, recipes, crafts, construction, true spy stories, engineering and robotics. There are many true stories that will captivate your kids’ attention! Trying to solve a mystery is a fun and challenging way to spend summer evenings. 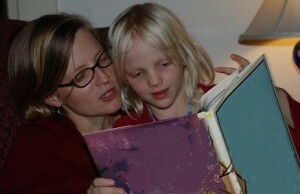 Choose a complicated story like The Westing Game by Ellen Raskin to read with your children. Keep track of the clues they detect in a notebook or on a piece of construction paper hung on the wall. This will help you all to keep the facts and clues straight, and your kids will enjoy working to solve the mystery! It would be fantastic if kids grabbed books and read on their own during the summertime, but more often they don’t. Take advantage of summer reading programs offered by local libraries or large book stores that reward kids with special prizes and free books at the end of the summer. To qualify, children must pick up and complete a summer reading calendar to be turned in before school starts in the fall. This also provides you a simple and special way to celebrate their reading experiences during the summer! Kelly Wilson is a freelance writer and former elementary school teacher. For more information about how nonfiction books can help kids maintain a healthy smile, visit Dr. Roane, a Dentist in West Linn, Oregon.